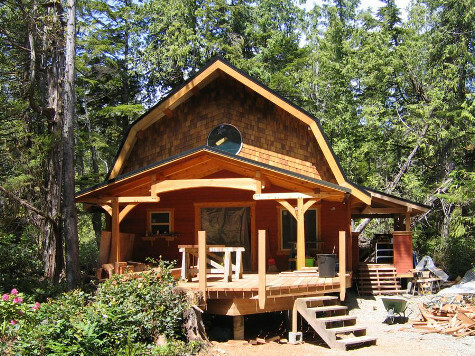 We’ve been building custom post and beam style houses using beautiful all wooden joinery on perfectly finished timbers with Douglas Fir, red and yellow Cedar, Hemlock, Amabilis Fir, Yew Wood and Spruce. With modern techniques and specialized tools, we are able to cut beautiful custom frames or use one of our traditional patterns. It is no exaggeration to say that our craftsmen pride themselves on making each individual structure a work of art, capturing the beauty intrinsic in the wood itself. Although our name indicates Timberframing as our principle practice, we now specialize in all kinds of unique carpentry and have added custom finishing and refinishing to our list of services. We offer an unique alternative from the ordinary or common way a building is built. Everything from the kind of siding you put on your house to the custom steel handrail or hardwood pegs in your built in furniture all affect the overall feel of the house or furniture piece. Our ‘Cradle to Cradle’ approach reintroduces an otherwise wasted tree into the building cycle. We use the wood to produce high quality products, typically for clients who wish to have a more conscious approach to their building designs. 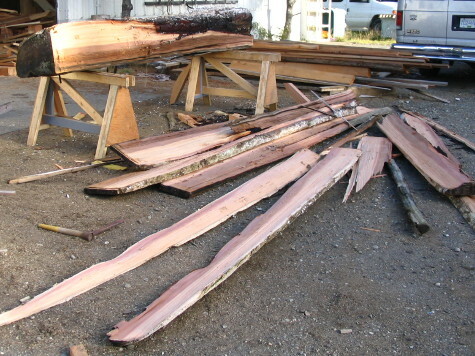 We typically split Cedar into shakes or mill logs into custom slabs for use in countertops or bars. Once the wood has been collected or milled, we air dry it to allow it to cure further before it’s used in a project. We have used parts of a tree for everything from siding a house or building a deck to custom finishing interior trim and furniture. 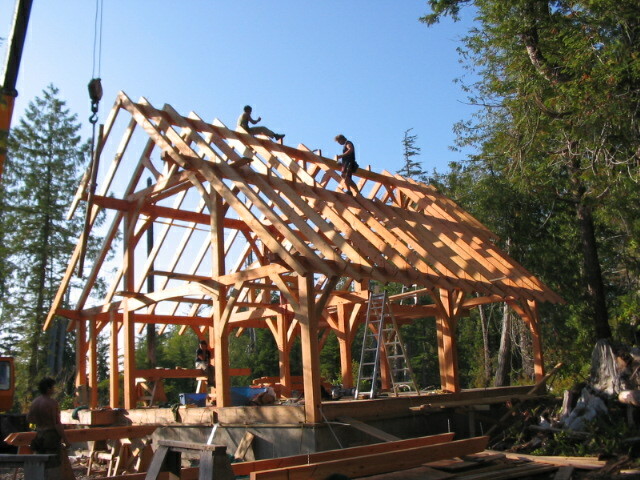 We have been building custom projects on the west coast of Vancouver Island since 2002. 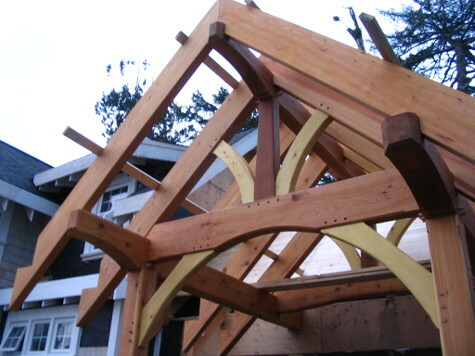 Our business now includes timberframing, construction, custom carpentry, custom finishing, furniture and wood salvage. Based in Ucluelet BC, we can be contacted by email or by calling 1-250-726-5006. We look forward to working on your custom projects.